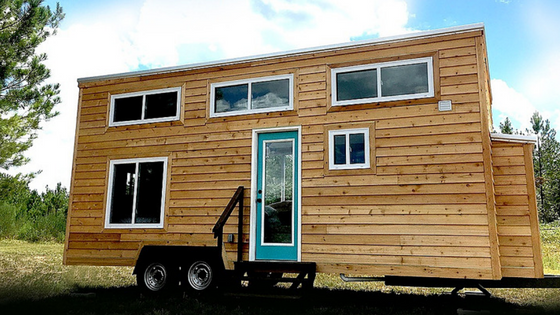 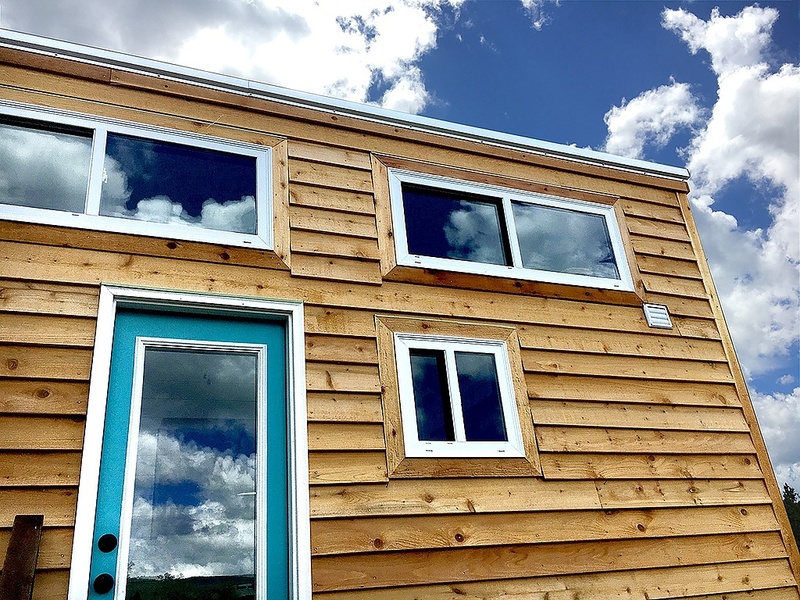 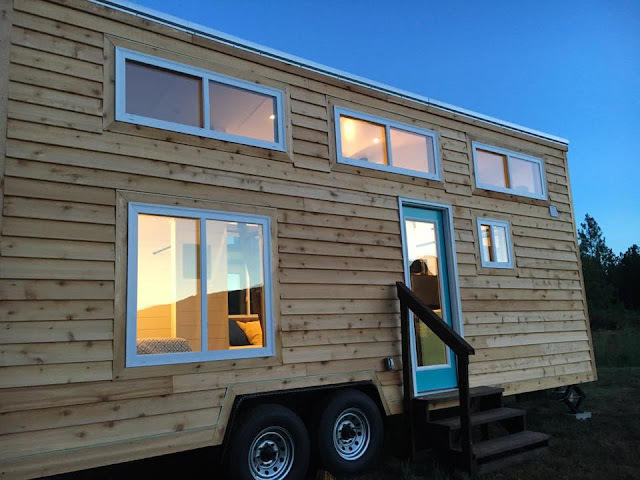 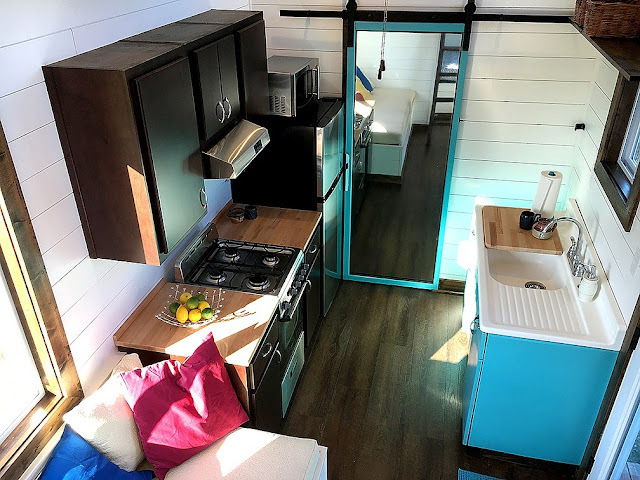 This 270 sq ft tiny house, named the “Youngstown”, is currently available for sale. 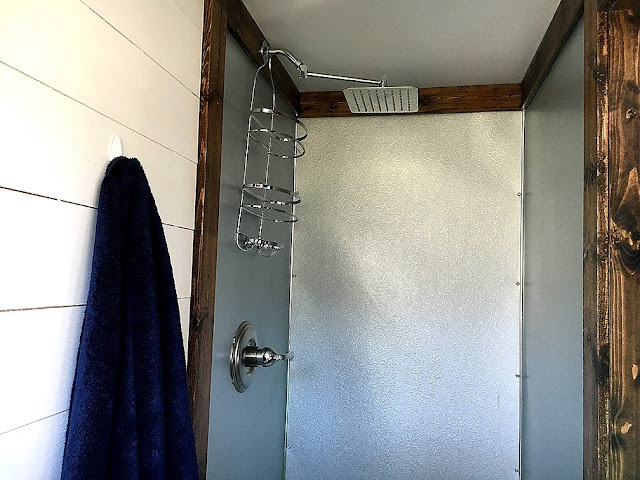 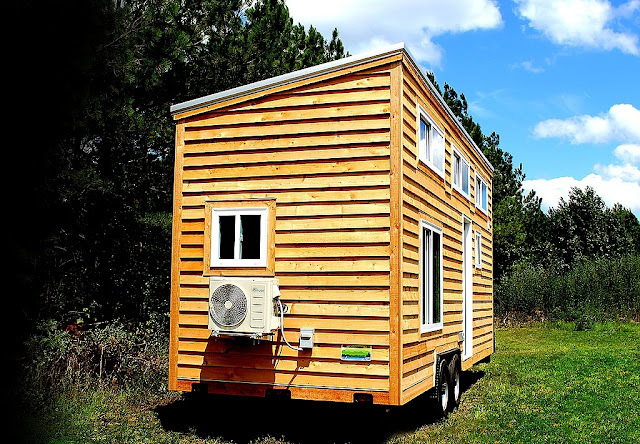 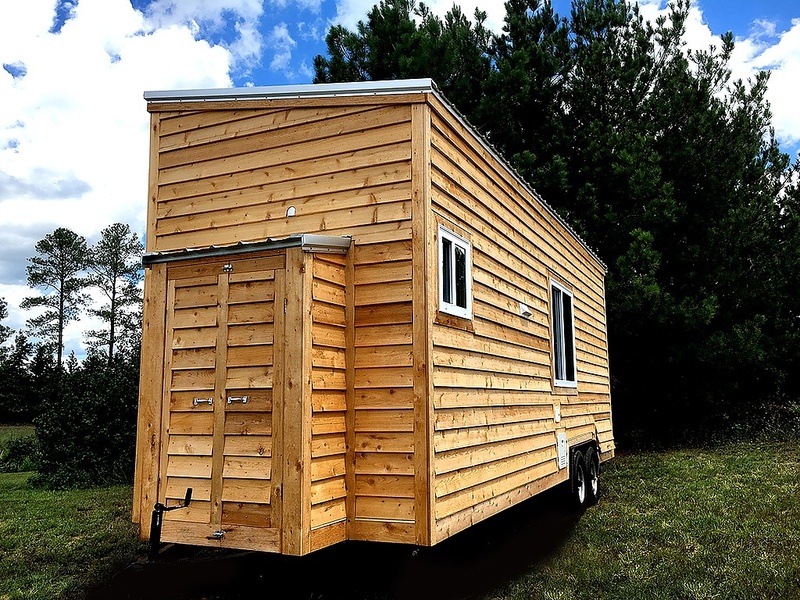 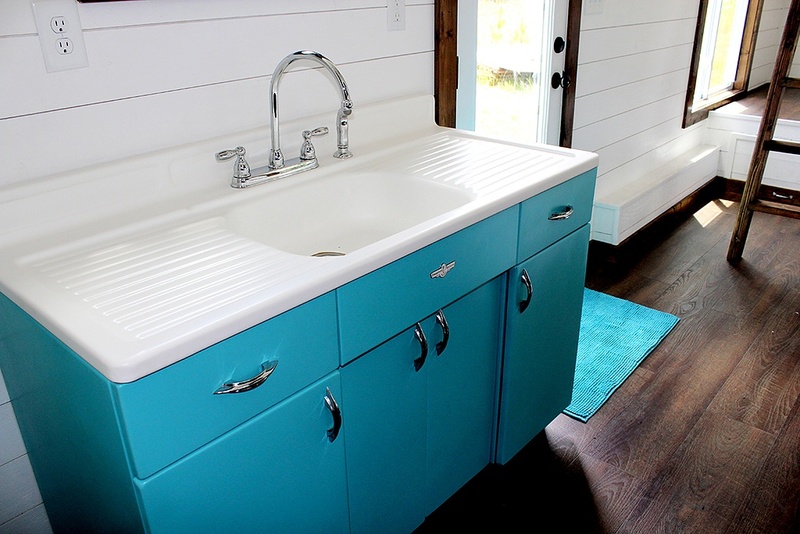 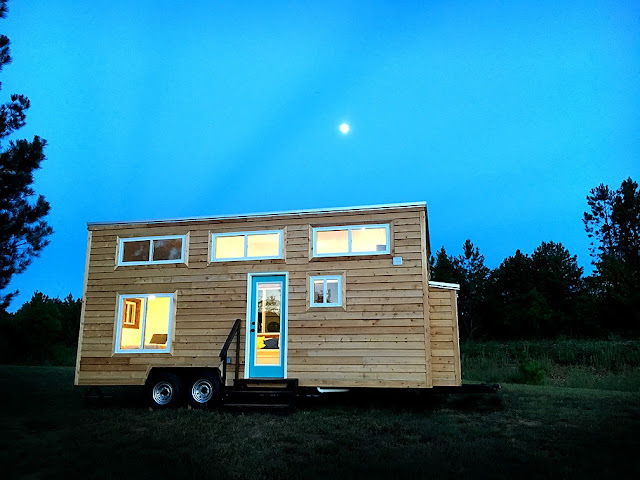 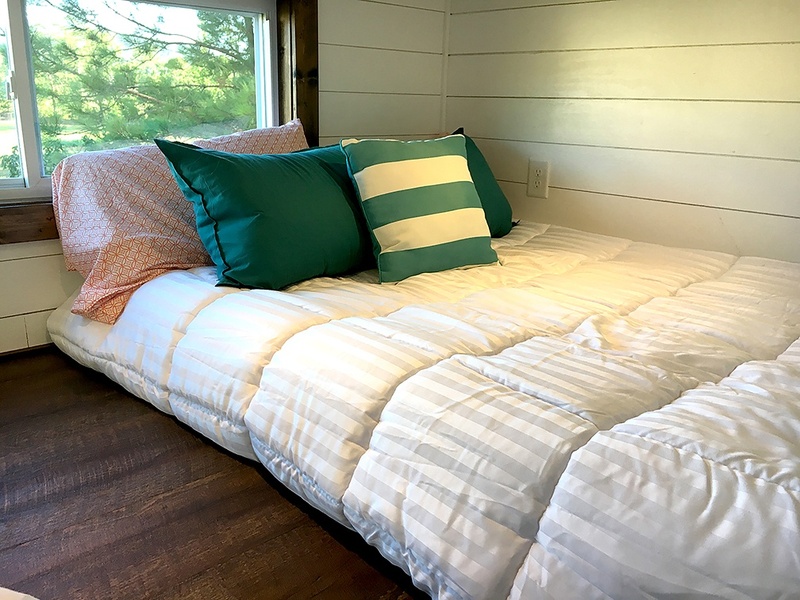 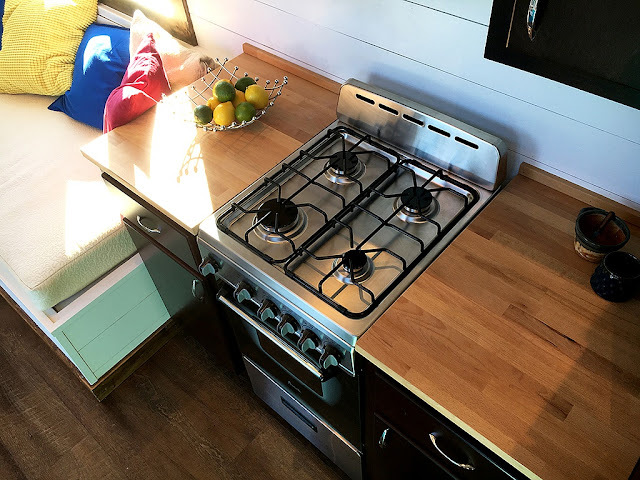 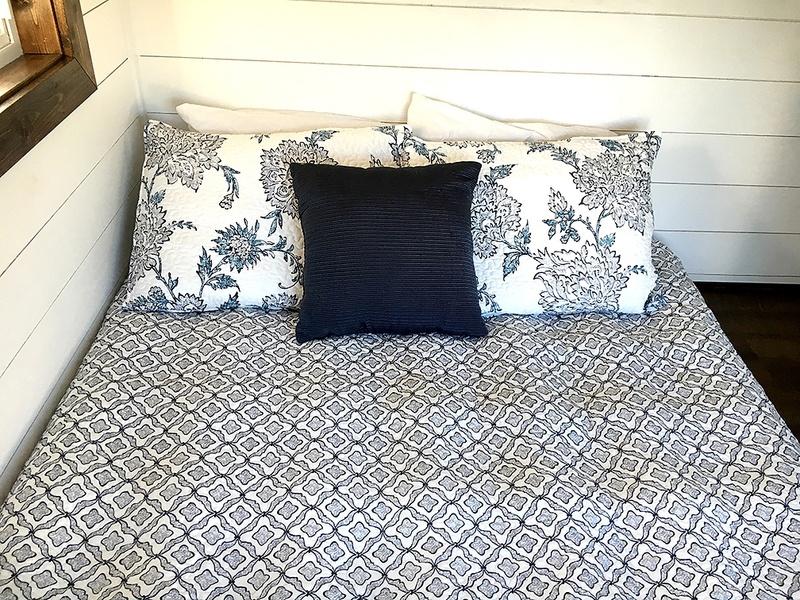 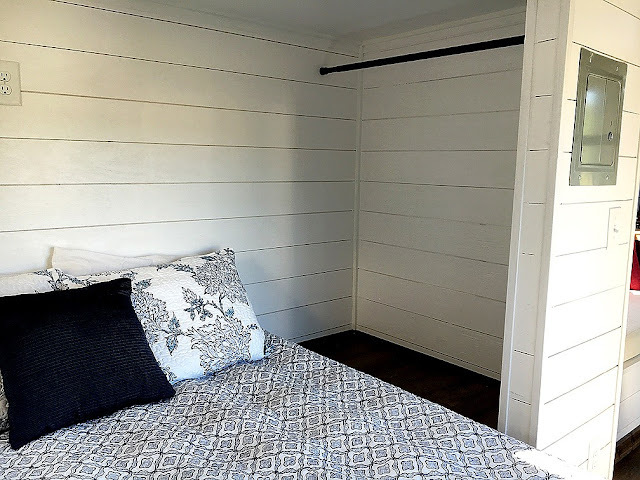 The home was built Harmony Tiny Homes of Oxford, Alabama, by a NOAH-certified builder. 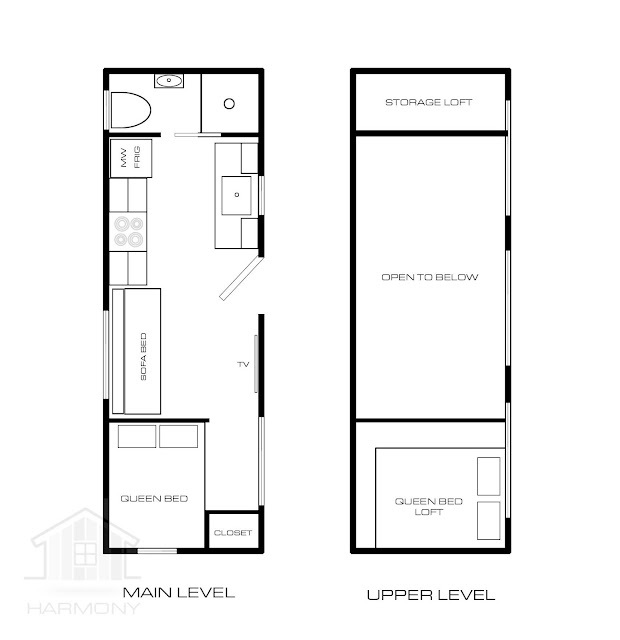 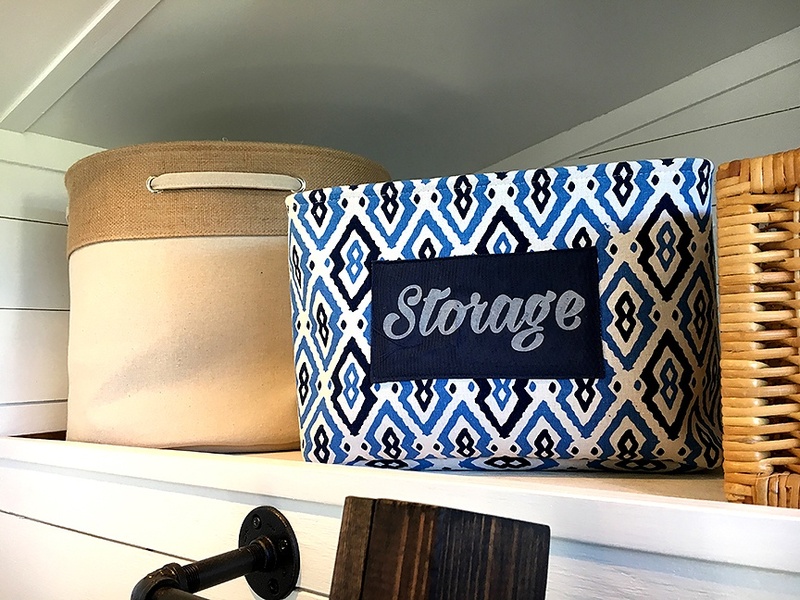 It features a kitchen, living room, bathroom, two bedrooms (one on the ground floor, on in the loft), and plenty of storage through the home including a closet and second loft for storage. The Youngstown’s kitchen comes with custom cabinets, a four-burner oven/range, a microwave, an a refrigerator. In the washroom is a standard flush toilet and a 32” x 32” shower. 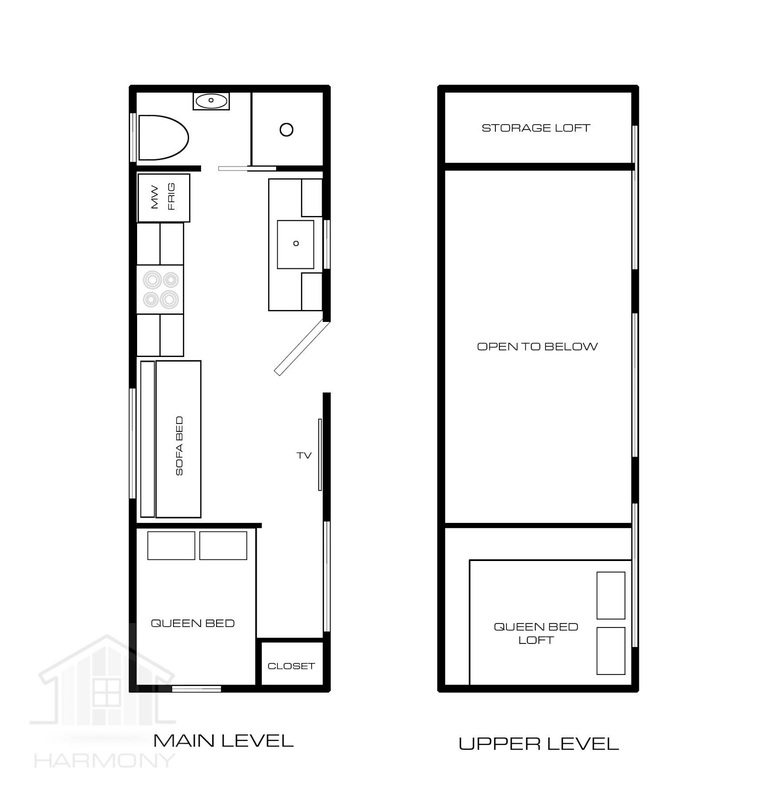 The home is currently available for sale in Oxford, Alabama, for $54,900.